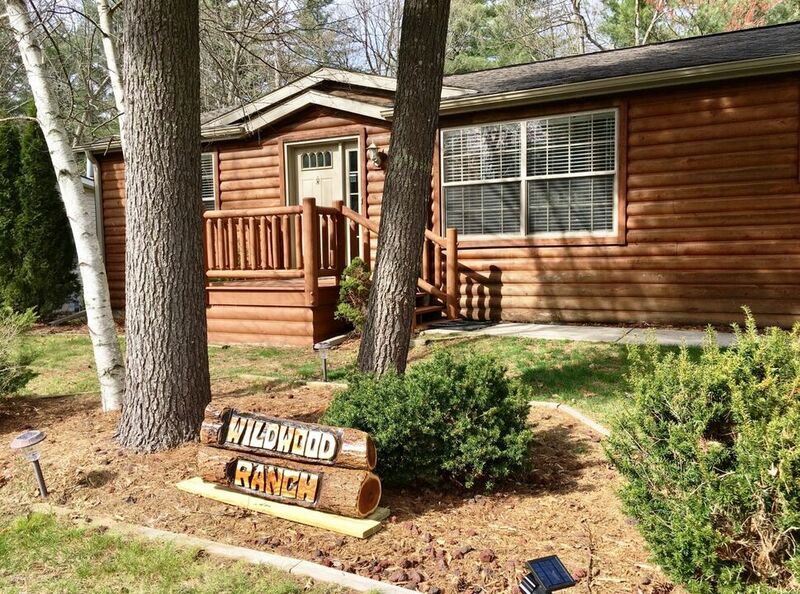 Take advantage of Wisconsin’s scenic beauty, including a creek side nature path and wooded backyard, at this cozy three bedroom, two bath ranch style home. 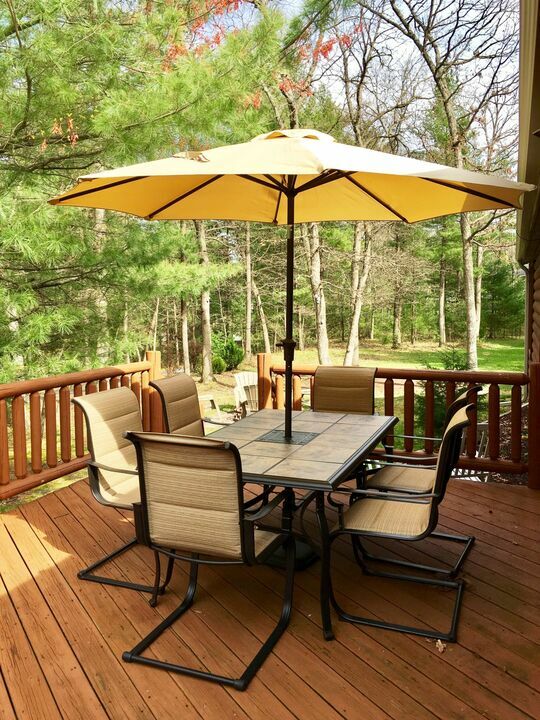 Enjoy the outdoors year round on the home’s spacious deck featuring a patio table, charcoal grill and campfire ring. 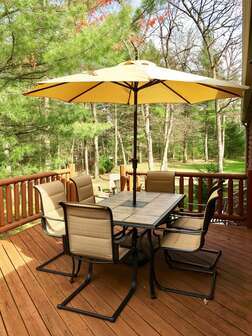 The home sleeps a maximum of 8 people and is the right choice for family or small group gatherings. Enjoy the comforts of home even for a short getaway. The master bedroom is equipped with a plush king bed, TV and en suite bathroom with a walk in shower and tub. 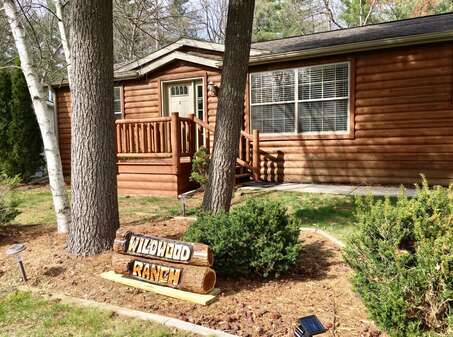 Two additional bedrooms each with a queen bed and a TV share the second full bathroom. The kitchen is loaded with full appliances and seating to accommodate all occasions from Sunday brunch to holiday dinner. The adjacent dining room provides ample seating and opens up to the comfortable living room area. After a day of water park fun in the Dells, kick back on the couch, catch your show on TV or browse the internet using the complimentary WIFI provided. The living room offers a queen sofa bed for extra sleeping accommodations. 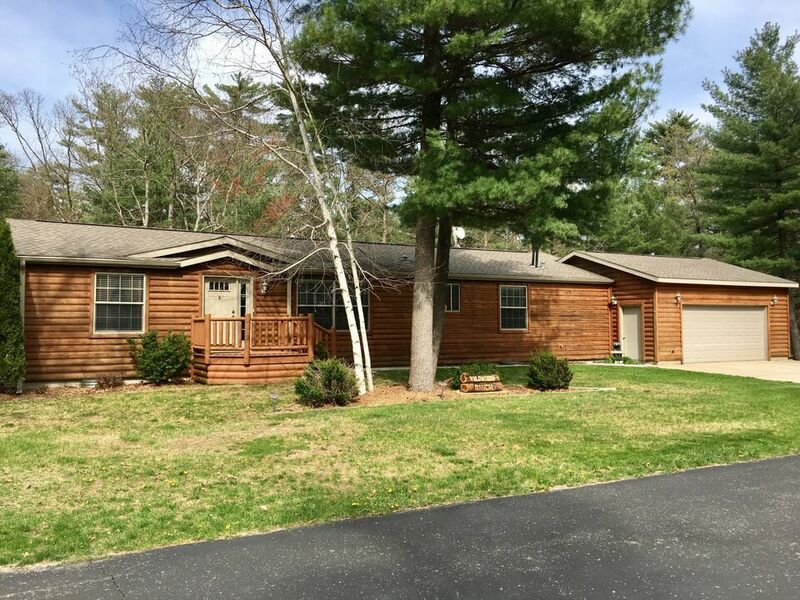 A large laundry room with washer and dryer add to the conveniences afforded to guests of this home. Windy’s is within walking distance of an outdoor pool and just a short drive to Spring Brook’s Clubhouse, which is home to the Spring Brook Sports Bar & Grill, indoor/outdoor pools, fitness room, golf course and pro shop. Home sleeps maximum of 8, rates based on 6 people over the age of 3. Extra guest fee of $15/night per additional guest applies. Memorial Day and New Years Eve Holidays require $250 Security Deposit.